Dreamworks Announces: NEIL KAPLAN Cast as EMPEROR ZARKON in New Netflix Voltron Series!! Los Angeles-- It's just been announced that renowned voice actor, Neil Kaplan, has been cast as the Emperor Zarkon in the new Dreamworks original series for Netflix entitled "Voltron: Legendary Defender." And you can be the first to book the new Emperor to your show or event! As announced at WonderCon this year, there have numerous variations of the Voltron series, but none have been as popular or as well received as the original Lion Force based primarily on the Beast King GoLion from Japan. The new series follows five unsuspecting teenagers, transported from Earth into the middle of a sprawling intergalactic war who become pilots for five robotic lions in the battle to protect the universe from evil. 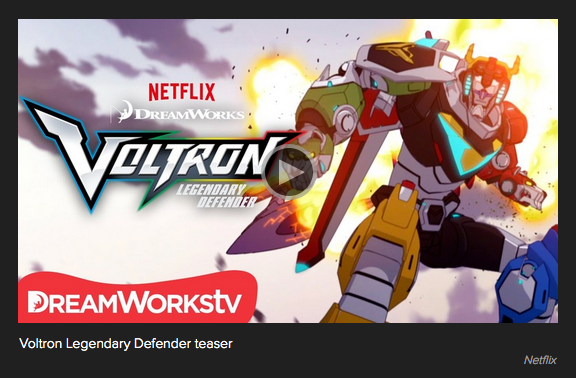 Only through the true power of teamwork can they unite to form the mighty warrior known as Voltron: Legendary Defender. This new series offers up a great voice cast including Kimberly Brooks (Ben 10: Omniverse) as Princess Allura, Rhys Darby (What We Do in The Shadows) as Coran, Josh Keaton (Green Lantern The Animated Series) as Shiro, Black Lion, Tyler Labine (Tucker & Dale vs. Evil) as Hunk, Yellow Lion, Jeremy Shada (Finn in Adventure Time) as Lance, Blue Lion, Bex Taylor-Klaus (Arrow) as Pidge, Green Lion, Steven Yeun (The Walking Dead) as Ketih, Red Lion and Neil Kaplan (Transformers: Robots in Disguise) as Emperor Zarkon. 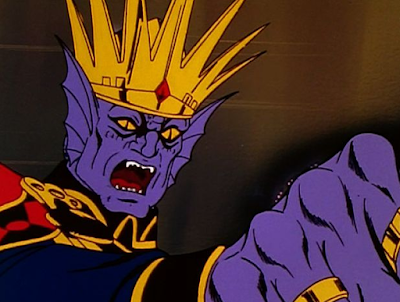 Past version of Emperor Zarkon. During this year’s Wondercon Executive Producer Joaquim Dos Santos, Co-Executive Producer Lauren Montgomery and writer Tim Hedrick took the stage to unveil not only the cast, but also never-before-seen artwork and footage for the all-new series. BE there when the lions come back together to form Voltron: Legendary Defender with all 13 episodes exclusively on Netflix beginning June 10th. And for you convention promoters, BE the first to book Neil Kaplan for your 2016 event!